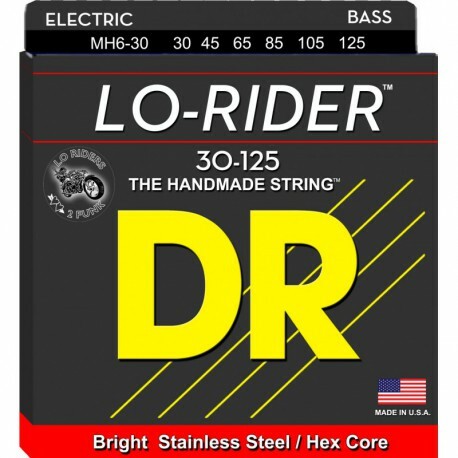 Lo-Rider stainless steel bass strings are round wound and constructed on a hexagonal core. They provide more depth of tone, and are a bit stiffer than Hi-Beams. 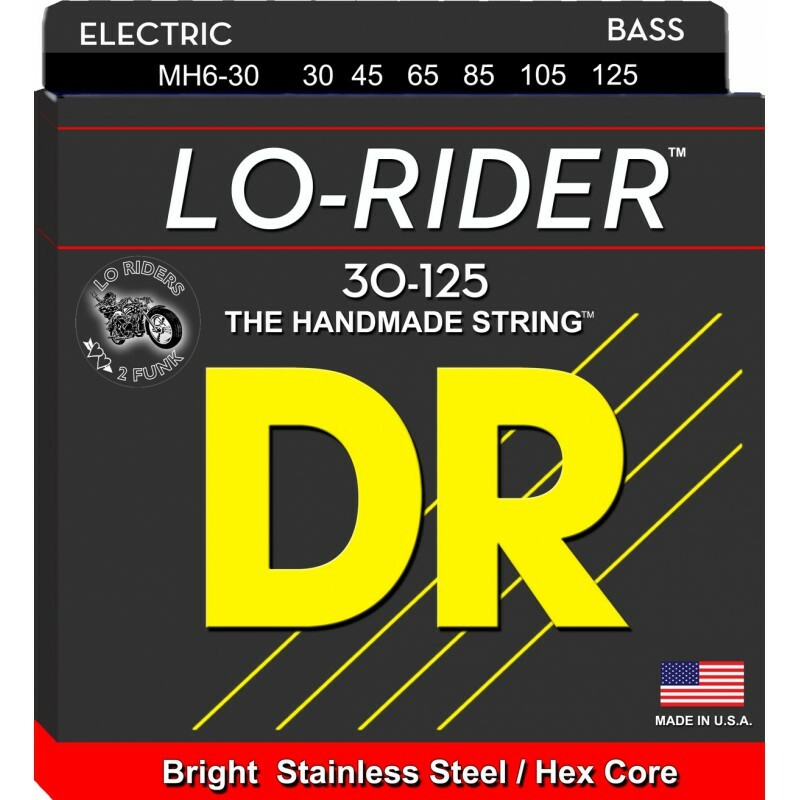 Bass players who are into slapping, popping and tapping will love the high end and depth of Lo-Rider. The slight bit of stiffness makes Lo-Rider bass strings very accurate when playing harmonics. Great consistency and great string-to-string balance are DR hallmarks.